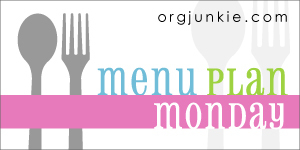 Hi friends, I’m going to apologize if this Menu Plan Monday post makes no sense at all. I spent all of Sunday working on our taxes and I feel a little bug eyed and foggy headed as I sit down to right write this (see what I mean). Hopefully I’ll still be able to pull a menu plan together that makes some sort of sense and that fits with my family’s needs and schedules this week. Oy. Days like this I want to just forget about planning a menu and go take a nap instead. But I won’t because I know if I do that my whole week will be a big chaotic disaster. Best to push through and get er done. 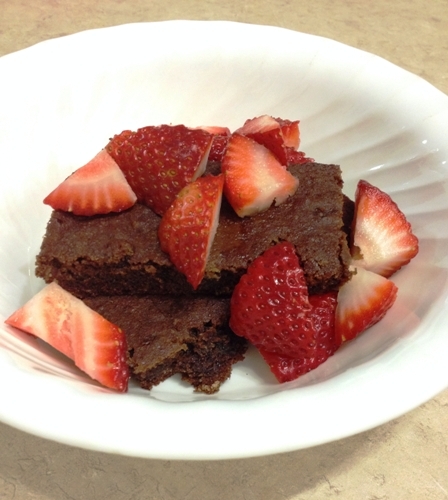 For our anniversary last week I made this recipe for AIP and Paleo Brownies. They were absolutely delicious although keep in mind that it was the first time in 3 months that I have had anything resembling a grain or a cake for that matter. Oh my, I was so happy and I ate the entire pan myself over two days. So so awesome! I made the rest of my family a regular chocolate cake for dessert so don’t feel bad for them…ha! Have a delicious week y’all! No appologies necessary we are all bug eyed from Daylight Savings time to notice anything out of the ordinary. Thanks for the party. Hope today is relaxing. Love the idea of oven baked burgers. Less mess! Taxes turn my brain to mush too, but I always feel so clever being able to do them myself instead of hiring someone. At least they’re done, right? Oh that’s weird, yes I can see that you do have a link back. 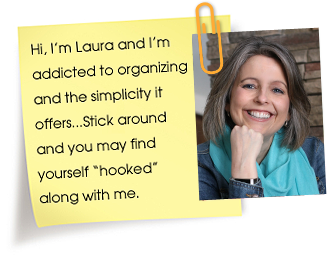 Will you do me a favor and try linking back to just orgjunkie.com to see if that works. I’m curious now. Thanks! I’m pretty sure I’d have eaten the entire pan of brownies myself if it had been that long since I’d had something like that. I’m glad you were able to enjoy the treat. Have a great week! I can’t even begin to share in words how much I enjoyed them. The funny thing is I never use to like brownies lol. We just lost an hour for daylight savings time, so Monday has been a 3-4 cups of coffee kind of day! Every year I do our own taxes and I swear that I’m going to hire someone next time. Tax time comes around, and I forget how much of a headache it is and end up doing it myself again. Maybe I’ll send my future self a letter reminding me to hire someone next time. Oh my goodness Stephanie, this is so ME! Every year I say the same thing that I need to hire someone and then I get collecting the information and just keep going meanwhile pulling my hair out. Crazy! Thanks for linking to my Crispy Honey Pork Tenderloin! Hope you enjoy it! Good for you! I decided years ago it’s better for my sanity to pay someone 🙂 I have a super-efficient (and FAST) guy who does it, and gets me my refund in about 3 days from start to finish. YES!